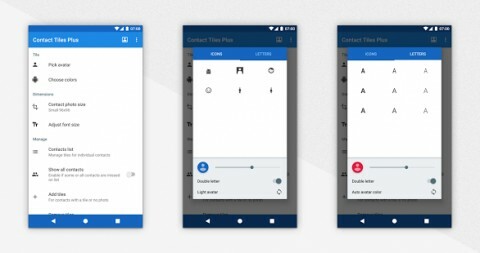 Inspired by Android design pattern where contacts without photo have placeholder image with first letter of name on it. Your contacts can now be presented with unified, customized and stylish images instead of boring default pictures or mess of photos from social media. 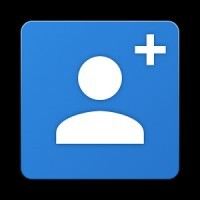 Adjust avatar transparency for your liking, and apply your favourite combination with one click to all contacts, or edit picture for each contact individually. You can choose from 3 avatar modes: light, dark and auto (tap on avatar preview in chooser dialog to see each mode against different backgrounds). Export contact photos to PNG for use in other places or as backup. 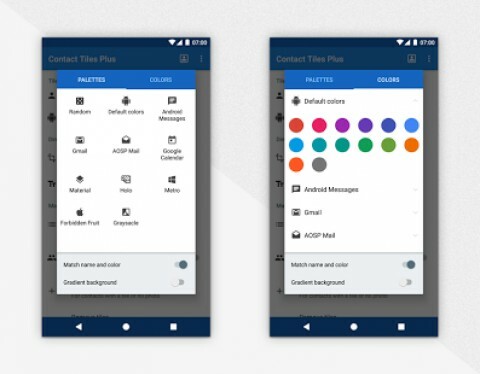 There’s also automatic tile creation – it will add picture for each new person in your contact list. Give your contact photos new clean look!